Typically as a programmer you will work with data on disk, and if you are lucky you will draw pictures on the screen. This is in contrast to physical computing which allows you as a programmer to work with data sensed in from the real world and to control devices that move in the real world. This is the component that truly enables "physical computing". You as a programmer can set the voltage high or low on each pin, which is how you will talk to actuators. You can also read what the voltage is currently on each pin. 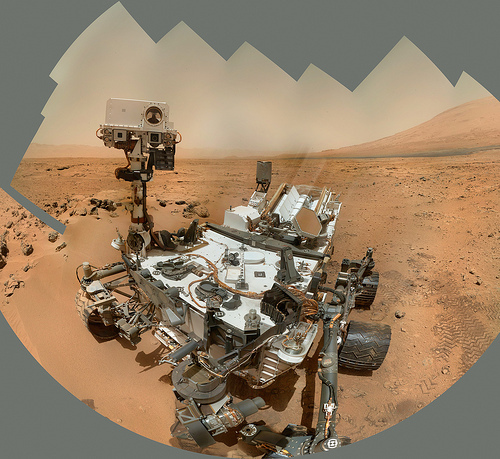 This is how sensors will talk back to you. It is important to note that each pin represents a binary state, you can only output a 0 or a 1, nothing in between. 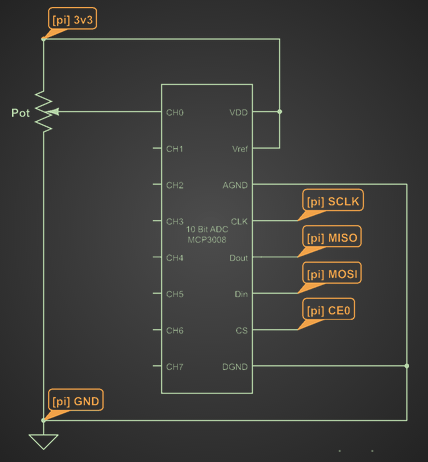 That chunk of silicon is refered to as an Analog-to-Digital Converter (ADC). The one I like is called MCP3008, it has 8 10-bit channels, meaning we can read 8 sensors values with a resolution of 1024 each (2^10). This will map our input voltage of 0 - 3.3 volts to an integer between 0 and 1023. With spidev installed and the circuit built run the following program to read live sensor values and print them to stdout. 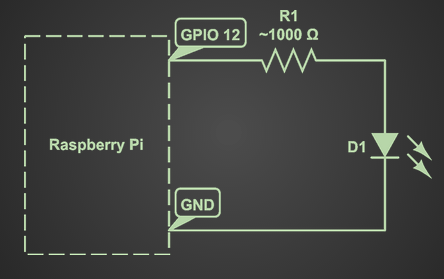 Shaft rotation is controlled by Pulse Width Modulation (PWM) in which you encode information in the duration of a high voltage pulse on the GPIO pins. 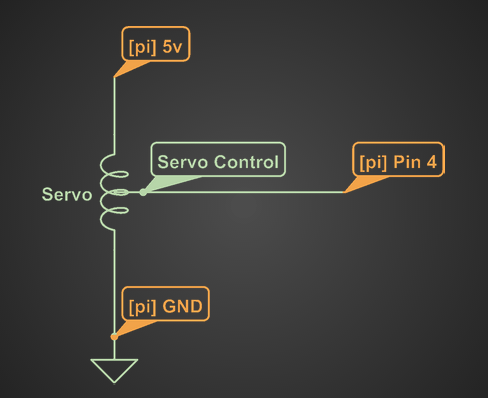 Most hobby servos follow a standard pulse width meaning. A 0.5 ms pulse means go to your min position and a 2.5 ms pulse means go to your max position. Now repeat this pulse every 20 ms and you're controlling a servo. These kind of timings are not possible with Python. In fact, they aren't really possible with a modern operating system. 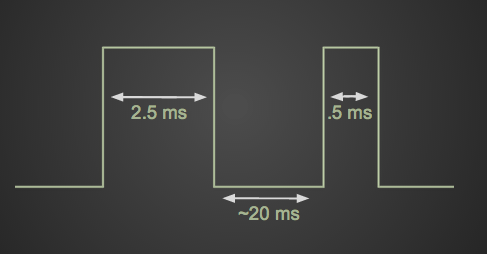 An interrupt could come in at any time in your control code, causing a longer than desired pulse and a jitter in your servo. To meet the timing requirements we have to enter the fun world of kernel modules. ServoBlaster is a kernel module that makes use of the DMA control blocks to bypass the CPU entirely. When loaded, the kernel module opens a device file at /dev/servoblaster that you can write position commands to.